Polymail features you can use for free! Our free tracking gives users the ability to see when an email they have sent has been opened. If you send an email to coworkers A and B, you will receive a notification that your email has been read when one of them opens your message. 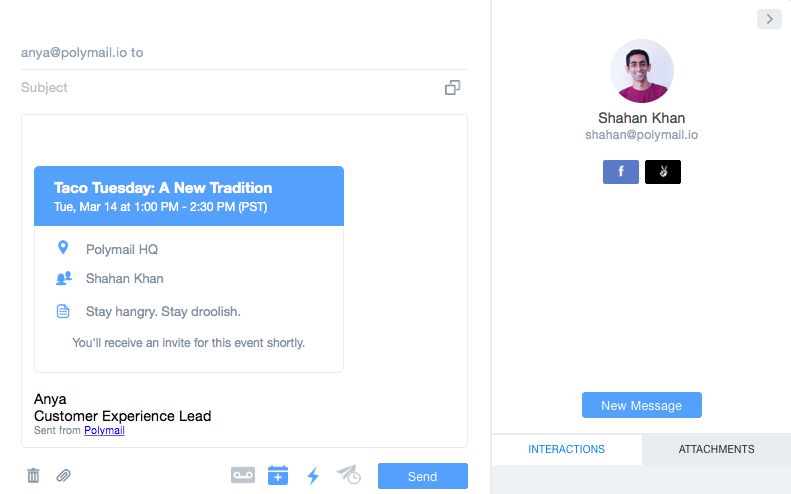 You will also see a blue lightning bolt next to your sent email. To read more about the differences between tracking for our free and paid users, check out our article here. Polymail now detects and blocks email tracking on your incoming messages to prevent senders from knowing when you've opened their emails. Click here to read more about that and how to enable this preference in your settings. Made a mistake and need to un-send that email? 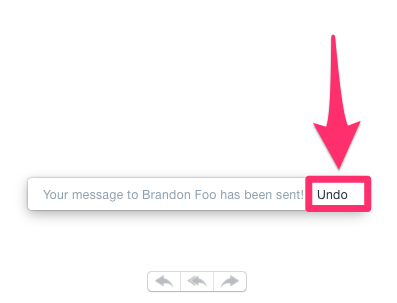 Our Undo Send feature lets you recall that email so you can make any edits or changes that you need to. You'll have the opportunity to undo a sent email for thirty seconds after you initially click that "send" button. Need more time to read an email or want to come back to it? 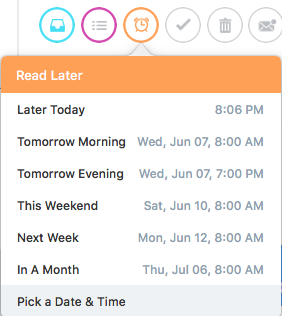 Our Read Later feature allows you to snooze an email so it leaves your inbox and returns at the time you specify. With our Out of Office feature, you can set up an auto-response in Polymail that will automatically let people emailing you know that you're away from your inbox. We sync with the Calendar app on your Mac and iPhone to allow you to schedule events and send invitations without ever leaving Polymail. You can read more about that and how to schedule invites here.